Every day the Jefferson Health New Jersey family looks to this team of doctors, lawyers, educators, financial leaders and business professionals for guidance and inspiration. These men and women have been honored individually and collectively by national and local businesses, corporations and publications. But the biggest honor they receive is when they see the smiles on the faces of the people we care for each and every day. Joseph W. Devine, FACHE, is New Jersey President and Chief Experience Officer for Jefferson Health. A longtime leader of what until fall 2017 was Kennedy Health, Mr. Devine is an officer of the Corporation of Kennedy Health and an Ex-Officio of the Kennedy University Hospital Board of Trustees. 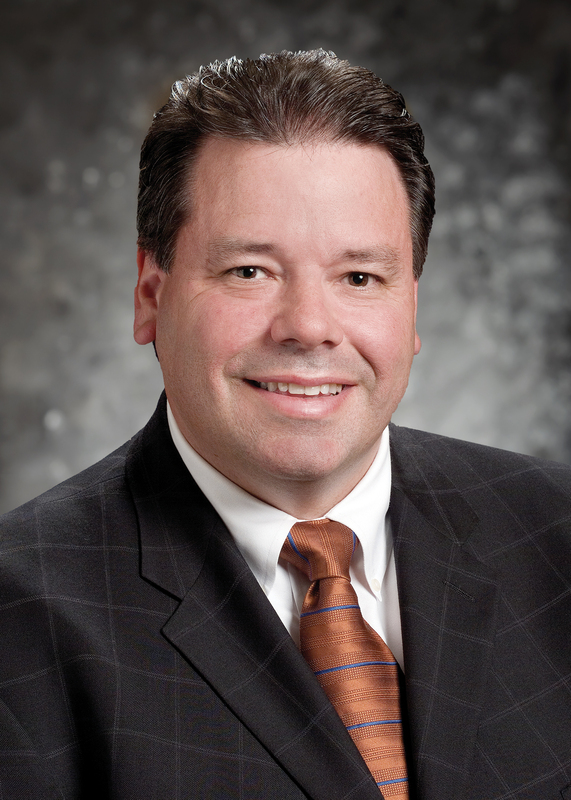 Named Chair of the Board of the New Jersey Hospital Association in 2019, Mr. Devine is also Chair of the Southern New Jersey Chamber of Commerce, and serves as Executive Club Chairman for the Gloucester County Chamber of Commerce. Under his leadership, Jefferson Health - New Jersey has been named a “Top Workplace” by Philly.com five times (2014 – 2018). In 2016, then-Kennedy was the only hospital system in the United States honored as a Sepsis Hero by the Sepsis Alliance for its extraordinary sepsis detection and treatment program. Since 2014, Jefferson Health’s New Jersey hospitals have received annual awards from the Horizon Blue Cross Blue Shield of NJ network as top performing in the state for providing safe, high-quality, and effective patient care. Also, Jefferson Health’s three New Jersey hospitals have each received “A” grades in the Leapfrog’s Hospital Safety Grade for their ability to prevent errors, injuries and infection numerous times. An active, visible leader, Mr. Devine has also been honored repeatedly for his extraordinary leadership and community outreach. Mr. Devine holds an MBA from St. Joseph’s University and earned his B.S. from La Salle. He is a Fellow in the American College of Healthcare Executives, its highest level of recognition. Joe and his wife, Dina, reside in Washington Township, NJ, and are the parents of two married daughters. Thomas J. Balcavage is Jefferson Health New Jersey’s Senior Vice President of Technology & Program Services. Named to this position in 2015, Mr. Balcavage, an 19-year Kennedy associate, had previously served as Vice President/Chief Information Officer at Jefferson Health New Jersey. In his current role, Mr. Balcavage oversees Jefferson Health New Jersey’s Ambulatory Services, Product Line Services, Dialysis Services and Patient Experience initiatives. He continues to be responsible for Jefferson Health New Jersey’s Information Systems & Technology, along with its Imaging Services. As a key member of Jefferson Health New Jersey’s leadership team, Mr. Balcavage has been instrumental in its strategic information technology advancements, including implementation of new major systems, meaningful use certification, electronic medical records and health information exchange implementation, development of an IT governance structure, and the establishment of a business intelligence/data analytics group. A 1984 graduate of Bucknell University in Lewisburg, PA, he earned an MA from Rowan University, and his Master of Business Administration degree from Rutgers University. Mr. Balcavage is the member of the College of Healthcare Information Management Executives (CHIME), the Healthcare Information and Management Systems Society (HIMSS), and the American College of Healthcare Executives (ACHE). The father of two sons, Mr. Balcavage and his wife reside in Moorestown, NJ. Helene Burns, DNP, RN, NEA-BC, is Chief Nurse Executive and Vice President of Clinical Services at Jefferson Health New Jersey. Ms. Burns has overall responsibility for patient care services and nursing operations at the multi-hospital health system, with oversight of its more than 1,400 Registered Nurses and Department of Nursing staff. Ms. Burns has direct oversight of patient safety initiatives as they relate to nurse-sensitive indictors such as patient readmission rates, ventilator-associates pneumonia rates, sepsis rates and pressure ulcer rates. Pursuing the Magnet® Journey with Jefferson Health New Jersey, which she joined in 2008, Ms. Burns has played a key role in Jefferson Health New Jersey’s impressive patient safety indicators and clinical outcomes through her positive, engaging leadership style. She has been instrumental in the development and success of several programs and services, including Jefferson Health New Jersey’s accredited Bariatric Surgery Program, its American Heart Association “Get With the Guidelines” stroke care program, and its NICHE Exemplar Designation for excellence in senior care at all three Jefferson Health New Jersey acute care hospitals. Named one of the New Jersey Institute for Nursing’s “Divas and Dons” in 2012 for her extraordinary impact on the profession and the community, Ms. Burns has championed many key initiatives linked with both patient and employee satisfaction, including hourly nursing rounds, improved beside communication, nursing mentor programs, and shared governance councils. With more than 30 years of experience in the health care industry, Ms. Burns’ management experience includes seven years as Director of Nursing at Delaware County Memorial Hospital in Drexel Hill, Pa., prior to joining Jefferson Health New Jersey. Ms. Burns earned both her Bachelor of Science in Nursing degree (1981) and her Master of Science in Nursing degree (1994) from Widener University in Chester, PA. She is currently pursuing a Doctor of Nursing Practice degree in the Health System Executive Leadership Track from the University of Pittsburgh, PA. A guest lecturer with the Villanova School of Nursing undergraduate and graduate programs, and a member of the Board of Directors of the New Jersey Organization of Nurse leaders, Ms. Burns is a board-certified Nurse Executive, Advanced through the American Nurses Credentialing Center. Carman A. Ciervo, D.O., FACOFP, is Executive Vice President & Chief Physician Executive at Jefferson Health New Jersey. In this role, Dr. Ciervo works directly with President & CEO Joseph W. Devine in providing oversight of the multi-hospital system’s strategic growth and initiatives in several key areas. He also works with other Jefferson Health New Jersey leaders and staff to advance the organization’s mission, expand services and continue to grow physician services for area community members. Dr. Ciervo plays a key role in Jefferson Health New Jersey’s continued growth and transformation, working directly on hospital and health system initiatives related to the employed-physician model, population health, and clinical excellence. He also oversees management and operations of Kennedy Health Alliance, a quickly growing network of primary and specialty care physician practices. As a member of the Board of Governors for the American College of Osteopathic Family Physicians (ACOFP) (2010-2015), Dr. Ciervo was honored by the organization as a “Guardian of the Profession” in 2014 for demonstrating a strong sense of pride in the osteopathic medical profession and for working actively to advance osteopathic medicine. Dr. Ciervo has served on the ACOFP’S Industry Relations Committee, as Chair of the In-service Exam Committee, and Vice Chair of the Committee on Evaluation and Education. He is a member of the American Osteopathic Association (AOA), the American College of Osteopathic Family Physicians State Society, and the President’s Council for the National Board of Osteopathic Medical Examiners. Dr. Ciervo has been honored by South Jersey and SJ magazines as a “Top Doc” in various physician and reader polls. In 2015, he named a “Healthcare Hero” by SJBiz Magazine, and was inducted into the Hall of Fame of Camden Catholic High School (CCHS), where he graduated from in 1980. 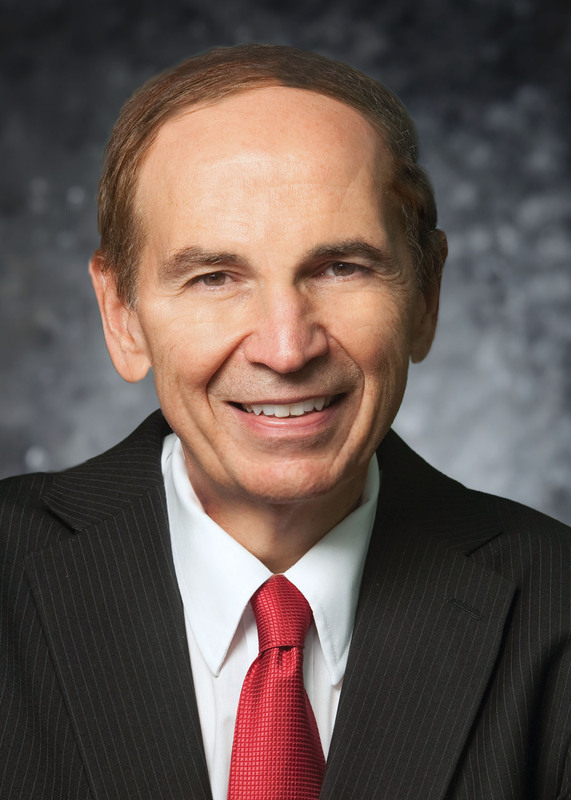 An inductee into the AOA Mentor Hall of Fame, Dr. Ciervo has conducted numerous clinical trials, has obtained several million dollars in grant funding for education and research, and has presented at more than 100 national speaking engagements. Additionally, he has published more than 25 peer-reviewed articles for medical journals. The father of a college-age daughter, Dr. Ciervo resides with his wife, headache specialist Loretta Mueller, D.O., in Haddonfield, NJ. He practices Family Medicine in Marlton, NJ. Dr. David Condoluci is Senior Vice President and Chief Patient Safety & Quality Officer for Jefferson Health New Jersey. Previously, Dr. Condoluci served as Jefferson Health New Jersey’s Chief Patient Safety & Quality Officer, and prior to that, he was Jefferson Health New Jersey’s Chief Medical Officer. In Dr. Condoluci’s new, expanded role, he is responsible for overseeing the quality and safety issues throughout the health care system, including regulatory inspections and clinical improvement initiatives. A member of Jefferson Health New Jersey’s Medical Staff since 1983, Dr. Condoluci is the former Chief of Staff, and a national expert and leading proponent in the fight against HIV/AIDS. A founding member of both the Southern New Jersey Infectious Disease Society and the AIDS Coalition of Southern New Jersey, Dr. Condoluci’s commitment and professionalism as both a physician and an educator has been recognized with numerous awards over the years, including a 2008 Kennedy Beacon Award. He has also received the “Excellence in Medical Services” Award by the South Jersey Council on AIDS, the UMDNJ-SOM “Golden Apple Award,” and the American Red Cross “Good Neighbor” Award. Dr. Condoluci, a Master Fellow of the American College of Osteopathic Internists (ACOI), resides with his family in Moorestown, NJ. H. Timothy Dombrowski, DO, MPH, is Vice President & Chief Medical Officer of Jefferson Health New Jersey. Dr. Dombrowksi oversees clinical operations in the hospital setting related to medical staff members and regulatory issues. Dr. Dombrowksi had served as Chief of Medicine at Rowan University School of Osteopathic Medicine (RowanSOM) for several years, and is currently a Clinical Professor of Medicine. Known as a superb clinician and educator, Dr. Dombrowski has received numerous awards throughout his professional career. In 2011, Dr. Dombrowski received the American Osteopathic Foundation’s “Spirit of Humanity” award and, in 2004, the Diocese of Camden presented him with its prestigious St. Luke Award. In 2003, the American College of Osteopathic Internists honored him as its Teacher of the Year. Dr. Dombrowski is a 1981 graduate of the Philadelphia College of Osteopathic Medicine, and earned his Master’s degree in Public Health (MPH) in 2008 from the University of Medicine and Dentistry of New Jersey – School of Osteopathic Medicine (now Rowan University School of Osteopathic Medicine). Board certified in Internal Medicine -- with additional certification in Geriatrics and Critical Care Medicine -- Dr. Dombrowski is on the Board of Directors of the National Board of Osteopathic Medical Examiners, the American Osteopathic Association, and the American College of Osteopathic Internists. A five-time “Top Doc” winner in South Jersey magazine, Dr. Dombrowski is a 2012 Kennedy Beacon Award Winner, and also received the “Golden Apple” Award at RowanSOM (then UMDNJ-SOM) for Excellence in Teaching. He resides with his family in Voorhees, NJ. Jill C. Ostrem is Senior Vice President of Operations for Jefferson Health New Jersey. She joined Jefferson Health New Jersey in 2016, and provides executive leadership for hospital operations, facilities management, patient experience initiatives and strategic business growth for Jefferson Health New Jersey’s three acute care hospitals. Ms. Ostrem joined Jefferson Health New Jersey from Parkview Health in Fort Wayne, IN, where she had served since April 2014 as Senior Vice President of Health and Well-Being, a role that focused on implementing population health strategies and programs for employee and community health. From 2011 to 2014, Ms. Ostrem served as Chief Operating Officer for the Parkview Physician Group, a multi-specialty employed physician practice in Fort Wayne. Ms. Ostrem’s extensive healthcare career also includes leadership positions with Group Health Cooperative of Seattle, WA, where she served for five years as Vice President of a multi-specificity physician practice (2005-2010). Ms. Ostrem also was Vice President of Operations at Jersey Shore University Medical Center/Meridian Health in Neptune, NJ, from 1996-2004. From 1987-1995, she held a series of progressive leadership roles at Penn State University/Hershey Medical Center in Hershey, PA. A member of the American College of Healthcare Executives, Ostrem holds a Master’s degree in Hospital & Health Services Administration from the University of Minnesota, and a BA in Economics from St. Olaf College in Northfield, MN. Ms. Walenda joined what was then Kennedy Health in 2014 as Vice President/Assistant General Counsel. She was promoted to Senior Vice President-Legal Services/Chief Counsel in 2017. Ms. Walenda has played a key role in moving the organization forward in many key areas, including: HIPPA, employment and labor; contracting policies and other initiatives. She also held a leadership role in executing the legal work involved in Kennedy Health’s merger with Jefferson Health, completed in 2017. Ms. Walenda’s professional career includes nine years as Assistant General Counsel with Virtua and 10 years with Ballard Spahr in Philadelphia, where she was an Associate with the firm, specializing in labor and employment law. A 1989 graduate of Illinois State University, she received her Juris Doctorate law degree from Georgetown University in Washington, DC, in 1992. A member of the American Bar Association and licensed to practice law in both New Jersey and Pennsylvania, Ms. Walenda is also a member of the New Jersey Hospital Association. The mother of three, she resides with her family in Voorhees, NJ. Edward Sullivan, Esq., is Jefferson Health New Jersey’s Senior Vice President/Senior Counsel, a role he has held since summer 2017. Since 2009, he had served as Senior Vice President and Chief Legal Officer for the health care organization. Prior to that time, Mr. Sullivan had provided legal counsel to what was then Kennedy Health for nearly 35 years through the law firms of Toll, Sullivan & Luthman, and more recently, Parker McCay. Mr. Sullivan is a 1968 graduate of St. Joseph’s University in Philadelphia, where he earned his B.A. degree. He received his Juris Doctorate law degree from Georgetown University in Washington, DC, in 1973. He is a member of New Jersey Bar Association and the Camden County Bar Association, and is a past Trustee of the Camden County Bar Association. Mr. Sullivan served in the U.S. Army from 1969 - 1971, and clerked for the Honorable Michael P. King, now retired PJAD, from 1973 - 1974. Mr. Sullivan and his wife, Patricia, reside in Cinnaminson, NJ. Albert E. Smith is Chairman of the Jefferson Health in New Jersey Board of Directors, a member of the Jefferson Health - New Jersey Hospital Board of Trustees, and serves as Chairman of the Professional Medical Management Board, and the Jefferson Health Primary & Specialty Care Alliance Advisory Committee. He had also served as Chairman of the Hospital Board of Trustees from 2007 to 2012. Mr. Smith is the retired President of Canon Financial Services (CFS) Inc., a wholly-owned subsidiary of Canon. He served in that position from 1986 to 2007, directing all activities of the organization. Prior to that, he served as Executive Vice President with Fidelity Bank & Trust Company of New Jersey (now Bank of America) from 1971 to 1986. 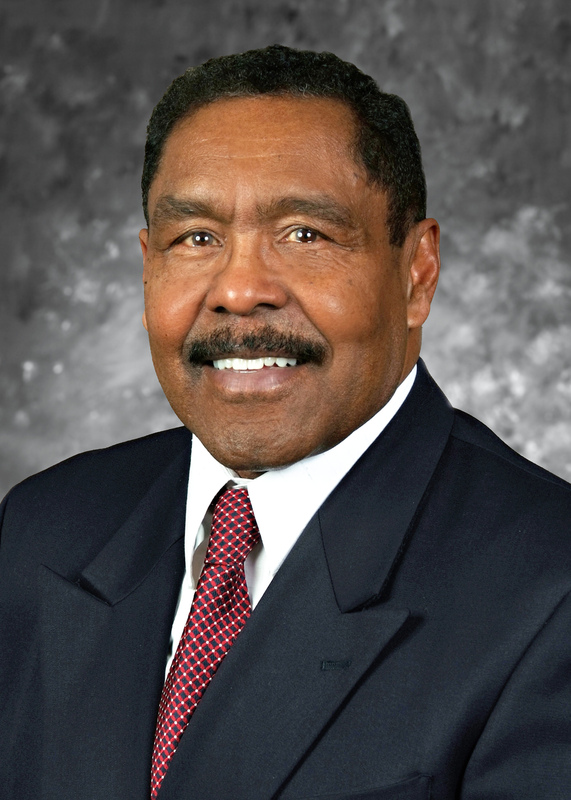 Mr. Smith has been a Jefferson Health in New Jersey Board member since 1986, and has served for more than 20 years on the Executive Advisory Board for Rutgers University School of Business and its School of Nursing Executive Advisory Board for the last two. A Certified Public Accountant since 1979, he holds Fellowship in both the American Society of CPAs and the New Jersey Society of CPAs. In 2003, Mr. Smith was honored for his philanthropic work with the Goodwill Industries of Southern New Jersey Helms Award. He served as Vice Chairman of the South Jersey March of Dimes from 1986 to 1991, and was the organization’s WalkAmerica Chairman in 1986. Mr. Smith is a graduate of Rutgers University. He and his wife, Meral, reside in Haddonfield, NJ. Bruce J. Paparone is Vice Chairman of the Jefferson Health in New Jersey Board of Directors and is a member of the Jefferson Health - New Jersey Hospital Board of Trustees. He is also a member of the Jefferson Health in New Jersey Property Corporation Board of Trustees. Mr. Paparone serves as Chairman of the STAT Medical Transport Inc. Board of Trustees, and is Co-Chair of the Kennedy Health Care Foundation. He is also a member of several board committees. The Paparone family has been in home building and real estate for more than 50 years. Bruce Paparone’s father, Samuel J. Paparone, started a real estate company in the 1950s, and today Bruce Paparone is continuing that legacy. As President of Bruce Paparone Inc. New Homes, Mr. Paparone was named the 2010 Builder of the Year by the South Jersey Builders League of South Jersey (BLSJ). Bruce Paparone Inc. has been honored five times with the prestigious Commitment to Excellence Award presented by the BLSJ. Past President of the BLSJ, Mr. Paparone is a member of the New Jersey Builders Association (NJBA) and the National Association of Home Builders (NAHB). Mr. Paparone is President of the SJ Paparone Insurance Agency and is a Partner in both Oak Mortgage Company and American Title Agency. He is also President of Best Homes of Savannah, GA. 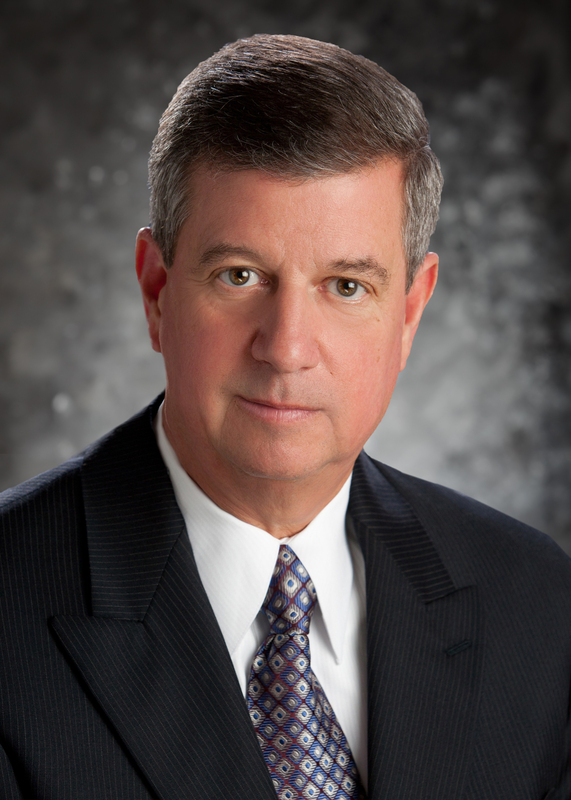 He serves on the Board of Directors of Cornerstone Bank and is Chairman of its Audition Committee. Mr. Paparone and his wife, Cheryl, reside in Haddonfield, NJ. Ronald L. Caputo is Secretary of the Jefferson Health in New Jersey Board of Directors and is a member of the Jefferson Health - New Jersey Hospital Board of Trustees. He also serves on numerous committees for both boards. Mr. Caputo is Vice President and Senior Fiduciary Advisor with Wilmington Trust, based in Cherry Hill, NJ. Mr. Caputo began his career at the Burlington County Trust Company in 1977, and joined M&T Bank/Wilmington Trust in 2014. He is a current member of the YMCA of Burlington & Camden Counties Emeritus Board. Mr. Caputo, a member of the Estate and Planning Council of Southern New Jersey, also served on the Board of Trustees of the YMCA of Burlington County and is past Chairman of The Moorestown Visiting Nurses Board. He has coached many youth sports teams over the years, and was President of the Delran High School Ice Hockey Club. Mr. Caputo earned a B.A. in Economics and Business Administration from Bethany College in West Virginia. He is also certified in Trust Financial Services from the University of North Carolina's Cannon Trust School. Mr. Caputo and his wife, Janice, reside in Delran, NJ. Robert DiStanislao is Treasurer of the Jefferson Health in New Jersey Board of Directors and is a member of the Jefferson Health - New Jersey Hospital Board of Trustees. Mr. DiStanislao is Owner and President of RDS Enterprises, which he founded in 2007, and a member of the prestigious Porsche Cars North America Board of Regents. RDS Enterprises currently owns and operates stores for three of the most exclusive automotive brands in the world: Porsche, McLaren, and Maserati. Under his leadership, Porsche of The Main Line has grown from a small boutique store to become one of the top-performing Porsche dealerships in the United States. 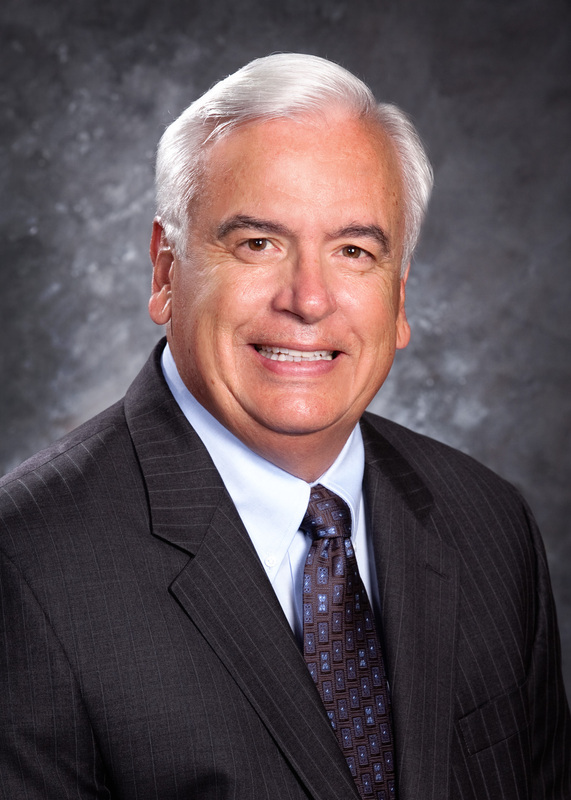 Dr. DiStanislao was appointed to the Porsche Cars North American Board of Regents in 2010. In addition to his many career successes, Mr. DiStanislao has also been active as a volunteer in the community, serving as a guest lecturer at both the Rutgers University and Penn State University Schools of Business. His significant efforts on behalf of his alma mater led to his induction into the Camden Catholic Hall of Fame in 2012. He has served as the school’s Vice Chairman of the Board of Trustees since 2009, and has been a member of the Friends of Camden Catholic Wrestling Program for the past 25 years. A 1983 graduate of Rutgers University, Mr. DiStanislao graduated from the NADA Dealer Academy in 1999, and earned an MBA in 2013 from Cornell University’s Johnson School of Business. He resides in Haddonfield, NJ. William R. Barker is a member of the Jefferson Health in New Jersey Board of Directors and the Jefferson Health - New Jersey Hospital Board of Trustees. He also serves on the Board’s Facilities Committee. Mr. Barker is currently a member of the Advisory Board of GroGlass LLC, Riga, Latvia, an international high-tech company specializing in anti-reflective glass manufacturing. He retired in December 2004 as Vice President of Worldwide Sales & Marketing with Denglas Technologies of Moorestown, NJ, a position he held for five years. From 1990 - 1998, Mr. Barker was Owner, Director and Vice President of Tri Star International, a hardware and general merchandise importer, distributor and marketer. A graduate of Washington University in St. Louis, MO, Mr. Barker earned his MBA from the University of California at Los Angeles in 1966. He and his wife, Mary, reside in Moorestown, NJ. Dr. Robert Barsky is a member of the Jefferson Health - New Jersey Hospital Board of Trustees and serves as Chairman for its Professional Affairs Committee. Dr. Barsky was Chief of Jefferson Health in New Jersey's Medical Staff from 2009 - 2011 and served as Chief of the Department of Surgery at Jefferson Washington Township Hospital. The son of one of Jefferson Health in New Jersey’s founding physicians (Dr. Paul Barsky); Dr. Robert Barsky is Medical Director of the Mid-Atlantic Kidney Stone Center in Marlton, NJ, and a member and past-President of Delaware Valley Urology. He is also a member of the American College of Osteopathic Surgeons and the American Osteopathic Association. A 1981 graduate of the Philadelphia College of Osteopathic Medicine, Dr. Barsky completed Residencies in both General Surgery and Urologic Surgery at Jefferson Health in New Jersey and the Rowan University School of Osteopathic Medicine (RowanSOM). An Associate Professor in RowanSOM’s Department of Surgery, he is known as a regional specialist in endourology and stone disease. Dr. Barsky resides in Cherry Hill, NJ, with his wife, Nancy. Daniel J. Dalton is a member of the Jefferson Health in New Jersey Board of Directors and the Jefferson Health - New Jersey Hospital Board of Trustees. He also serves on numerous board committees. Former Secretary of State for New Jersey (1992 - 1994), Mr. Dalton is an Executive with Brown & Brown of NJ, Inc., a full-service property casualty and benefits insurance office. From 1994 - 2007, he was President of the Dalton Insurance Agency in Glassboro, NJ. Mr. Dalton was also a member of the New Jersey State Legislature from 1980 until 1992, serving on the State Assembly (1980-82), as State Senator (1982-1992) and as Senate Majority Leader (1990-1992). Mr. Dalton served as a member of the Casino Reinvestment Development Authority, and was President of the Founding Board of Directors for the Boys & Girls Club of Gloucester County. He is also on the Board of Directors of Parke Bank. A graduate of Kings College in Wilkes-Barre, PA, Mr. Dalton received a master's degree in Public Administration at Memphis State University in Tennessee. Mr. Dalton and his wife, Suzanne, reside in Clayton, NJ. John F. Durante is Chairman of the Jefferson Health - New Jersey Hospital Board of Trustees and is a member of the Jefferson Health in New Jersey Board of Directors. He is also Co-Chair of the Kennedy Health Care Foundation, and Chairman of both the Executive Committee for the Hospital Board and of the Jefferson Health Care Center Board. Mr. Durante additionally serves on several board committees. Mr. Durante served as the past-President of the Ronald McDonald House Charities of the Philadelphia Region and President of JDKD Enterprises LP. He is the owner/operator of seven McDonald’s restaurants in South Jersey and is President of McDonald’s Thil-Ad-Mac Co-op, representing 300 McDonald’s restaurants. Mr. Durante is also a Board Member of the Weinberg Foundation, which supports the bone marrow transplant center at Children’s Hospital of Philadelphia. Mr. Durante is well-known throughout the region for his charitable efforts in raising millions of dollars for children’s charities During his years as a Jefferson Board member, Mr. Durante has been instrumental in the establishment of the Ronald McDonald Pediatric Unit at Jefferson Washington Township Hospital and its two Ronald McDonald Family Rooms, which provide respite for families of patients receiving care at the hospital. Mr. Durante earned a B.S. in management from St. Joseph’s University in 1983. He obtained his Bachelor of Hamburgerology from McDonald's Hamburger University in Oak Brook, IL, in 1978. Mr. Durante and his wife, Kathy, reside in Washington Township, NJ. Dr. Thomas J. Gallia is a member of the Jefferson Health in New Jersey Board of Directors and the Jefferson Health - New Jersey Hospital Board of Trustees. He also serves on the Board of Trustees’ Professional Affairs Committee. He is Vice President Emeritus at Rowan University in Glassboro, NJ, and the senior advisor to the University’s President. Dr. Gallia holds concurrent academic rank as Professor of Education in the departments of Teacher Education and Educational Leadership. Since joining Rowan in 1967 as an adjunct professor, Dr. Gallia has held many roles, including Executive Assistant to the President/Chief of Staff (1992 - 2005) and Vice President for University Relations/Chief of Staff (2005 - 2012). In 2012, Dr. Gallia received Rowan University’s Dr. Harley Flack Outstanding Mentor Award for his many years as a volunteer mentor of college students and young professionals. The Gloucester County Chamber of Commerce awarded Dr. Gallia Business Person of the Year honors the same year, and Rep. Frank LoBiondo presented him with a special congressional recognition award honoring him as Business Person of the Year in 2012. A 1966 science graduate of then-Glassboro State College (Rowan University), Dr. Gallia earned two Master’s degrees in Science Education, and School Supervision & Educational Administration from the college in 1967 and 1970, respectively. In 1979, he earned a Doctorate in Science Education from Rutgers University – New Brunswick. A member of the Glassboro Redevelopment Group, the Gloucester County Chamber of Commerce and the South Jersey Chamber of Commerce, Dr. Gallia has been a trustee and executive board member of the Southern New Jersey Development Council. Dr. Gallia and his wife, Donna, reside in Glassboro, N.J.
Joseph A. Maressa Jr., Esq. 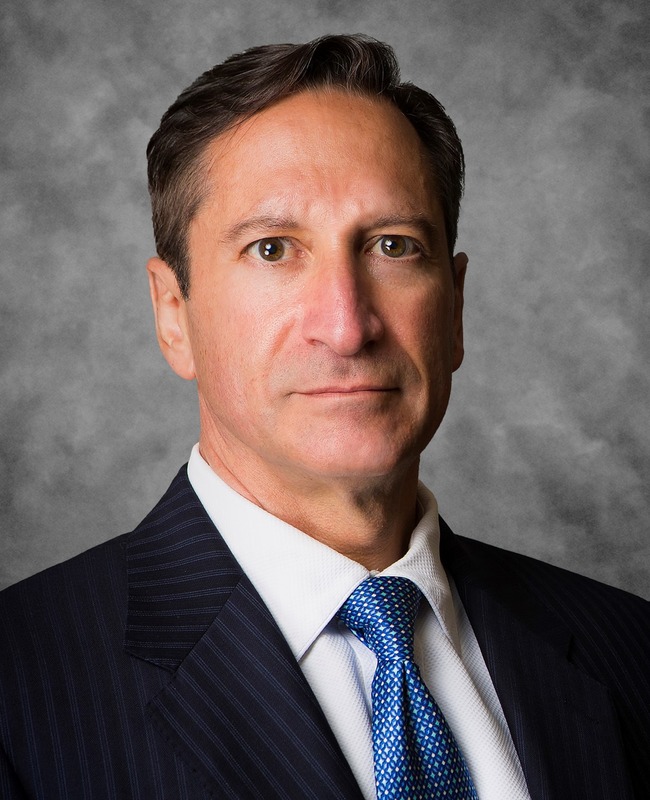 Joseph A. Maressa Jr., Esq., is Treasurer of the Jefferson Health - New Jersey Hospital Board of Trustees and a member of the Jefferson Health in New Jersey Board of Directors. He is also a member of the STAT Medical Transport Board of Trustees and serves on the Bylaws Committee. Son of the late Senator Joseph A. Maressa – a 35-year Jefferson board member – Mr. Maressa joined the staff of Title America Agency Corporation in Berlin, NJ, a family business, following his graduation from college. In 1996, he was named President of Title America. Mr. Maressa is also an attorney specializing in commercial and residential real estate transactions with Maressa Patterson LLC, a Berlin, NJ-based law firm. Additionally, Mr. Maressa is a partner in Chancellor Development Group LLC, which specializes in site locations for national and regional retail tenants. A lifelong resident of Camden County, Mr. Maressa attended the Peddie School in Hightstown, NJ, graduating in 1978. He is a 1982 graduate of Rowan University in Glassboro, NJ, and earned his Juris Doctorate from Widener University Law School in Wilmington, DE, in 1992. He is a member of both the New Jersey and Pennsylvania bars. Mr. Maressa and his wife, Linda, reside in Waterford, NJ. Daniel J. Ragone is a member of the Jefferson Health in New Jersey Board of Directors and the Jefferson Health - New Jersey Hospital Board of Trustees. Additionally, he is a member of the Board of Trustees of the Jefferson Health in New Jersey Management Group and the Jefferson Health in New Jersey Property Corporation. He serves on several other board committees. Mr. Ragone has been a member of the Jefferson Health - New Jersey Hospital Board of Trustees for more than 35 years, and the Jefferson Health in New Jersey Board of Directors since its inception in 1982. From 1995 to 2000, he served as Chairman of the Jefferson Health in New Jersey Board of Directors, offering vision and leadership during a time of intense growth and progress for Jefferson. Mr. Ragone played a key role in Jefferson Health in New Jersey’s purchase of the Cherry Hill and Washington Township hospitals in 1980, helping the organization grow into a multi-hospital system. He is the retired Principal of the Collingswood-based Public Accounting firm Daniel J. Ragone & Company, which he founded in 1960. In January 2013, Mr. Ragone was honored as recipient of the New Jersey Hospital Association Leadership Award for his dedication and hard work as a Jefferson board member. In 2009, Mr. Ragone was honored with the Jefferson Health in New Jersey Beacon Award for his commitment to the healthcare organization and its mission. Over the years, Mr. Ragone’s expansive community outreach has included serving the board of the William G. Rohrer Charitable Foundation, where he was responsible for obtaining more than $700,000 in grant money to assist Jefferson Health in New Jersey's health programs and continued growth. He is a graduate of Philadelphia’s LaSalle University. Mr. Ragone and his wife, Lillian, reside in Haddonfield, NJ. John P. Silvestri is Vice Chairman of the Jefferson Health - New Jersey Hospital Board of Trustees and is a member of the Jefferson Health in New Jersey Board of Directors. He had served as Chairman of the Jefferson Health in New Jersey Board for several years, until 2016. Mr. Silvestri also serves as Chairman of the Jefferson Health in New Jersey Property Corporation Board and the Jefferson Health in New Jersey Management Group. Mr. Silvestri has more than 25 years of service with Jefferson Health in New Jersey. Mr. Silvestri is the President of Site Development Inc., of Mount Laurel, NJ, a multi-faceted real estate firm, and Interstate Commercial Real Estate Inc. He has also served on the Boards of Commerce Bank/Shore, University of Pennsylvania Football Club and Galloway National Golf Club, Inc. In 2006, Mr. Silvestri was the recipient of the New Jersey Hospital Association’s Healthcare Leader Award, presented annually to an NJHA member healthcare system trustee who “has contributed significantly to the health of the system through exceptional leadership, guidance and service to the healthcare system and communities it serves.” Known for his dynamic leadership style, Mr. Silvestri is actively involved in the healthcare system’s major fundraiser, the annual Gala, which traditionally raises more than $200,000 each year to fund various Jefferson Health in New Jersey services. He was also instrumental in Jefferson Health in New Jersey’s affiliation upgrade to Principal teaching hospital of RowanSOM (previously UMDNJ). Mr. Silvestri is a graduate of the University of Pennsylvania. Mr. Silvestri and his wife, Ann, reside in Haddonfield, NJ. Justice John E. Wallace, Jr., Esq. 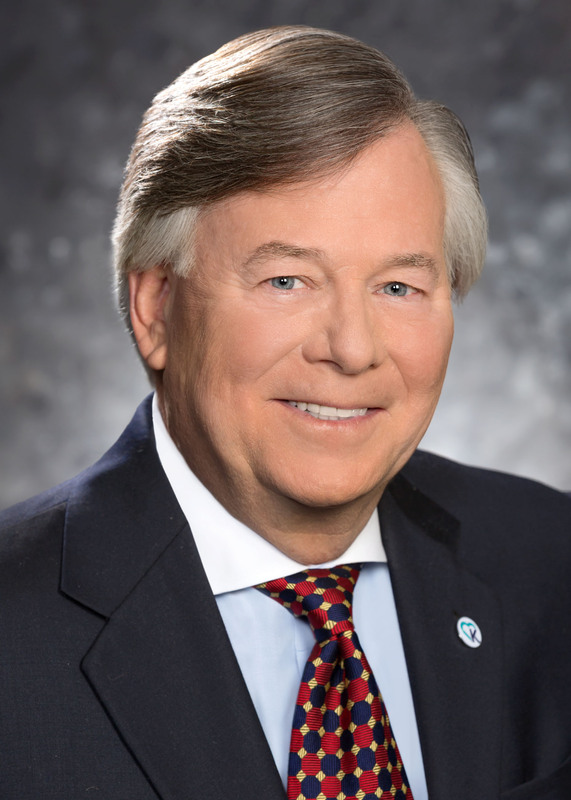 John E. Wallace is a member of the Jefferson Health in New Jersey Board of Directors and serves as Secretary of the Jefferson Health - New Jersey Hospital Board of Trustees. He also serves on several board committees. A retired New Jersey Supreme Court Justice, Justice Wallace joined the South Jersey-headquartered law firm of Brown & Connery LLC, in early 2011, where he practices primarily in mediation and arbitration. Justice Wallace’s career as a jurist spanned more than 25 years. Appointed to the New Jersey Superior Court in 1984, he went on to serve as an appellate judge, beginning in 1992, before being nominated and confirmed to New Jersey’s highest court in 2003. He is a member of the Board of Legal Services of New Jersey and the American, New Jersey, Gloucester County and Camden County Bar Associations. Justice Wallace is also a member of the University of Delaware Hall of Fame. A long-time Little League Baseball and area high school football coach, he is a member of several sports Hall of Fames, including his alma mater, Pitman High School. Justice Wallace received his B.S. from the University of Delaware and his law degree from Harvard Law School. Justice Wallace and his wife, Barbara, reside in Washington Township, NJ. Jeffrey B. Hoag is a member of the Jefferson Health in New Jersey Board of Directors. He currently serves as the Chief of Staff for Cancer Treatment Centers of America in Philadelphia, Pennsylvania. He is also the Enterprise Vice Chairman of Medicine for Medicine & Science, the clinical arm of Cancer Treatment Centers of America. He is a practicing pulmonologist and intensivist who has clinical interests in lung cancer and other forms of cancer affecting the lungs, cystic fibrosis, critical illness, and quality and safety in the delivery of healthcare. Dr. Hoag is board certified in Internal Medicine, Pulmonary Medicine, Critical Care Medicine, and Hospice and Palliative Care Medicine. He earned his medical degree at the Virginia Commonwealth University (formerly Medical College of Virginia) where he also received a Master of Science degree in Physiology. His Bachelor of Science degree is in Biology from the University of Richmond. Dr. Hoag completed an internal medicine internship and residency at Virginia Commonwealth University Hospital, where he received awards for scholarship, research, and as an outstanding resident. He completed his fellowship training in pulmonary medicine and critical care medicine at The Johns Hopkins University in Baltimore, MD. He received leadership training through LEADERSHIP Philadelphia™ and is a fellow of the Physician Leadership Institute. Dr. Hoag has been a principal and sub-investigator for multiple clinical trials. He has been published in journals such as The American Journal of Respiratory and Critical Care Medicine, Chest, and Critical Care Medicine. He also serves as a reviewer for several clinical journals, and he has been selected as a Best Doctor in America® for multiple years. He is a member of the American College of Chest Physicians, Society of Critical Care Medicine, and The American Thoracic Society. 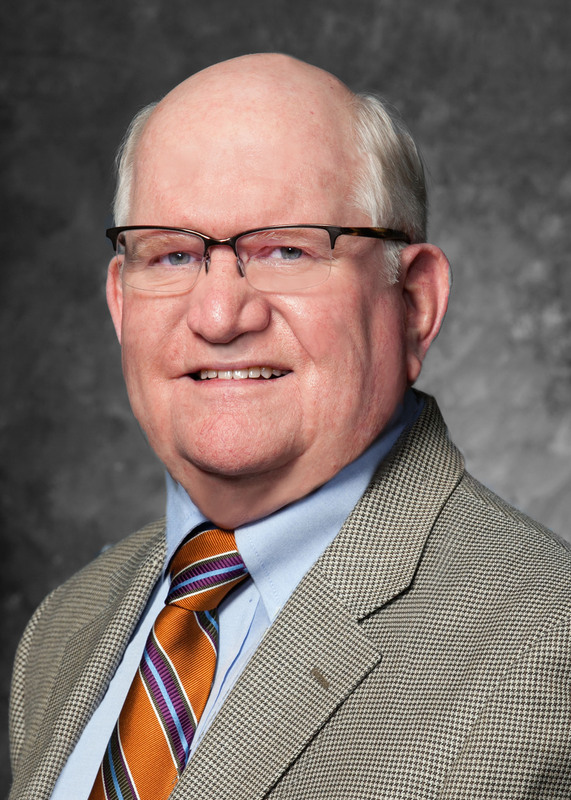 Dr. Hoag has served on the Board of Trustees for Magee Rehabilitation Hospital since 2016 and serves on the Quality Committee for that hospital. He recently joined the Board of Trustees for Jefferson Health New Jersey in 2018. He is a resident of Haddonfield, NJ where he lives with his wife and three children. 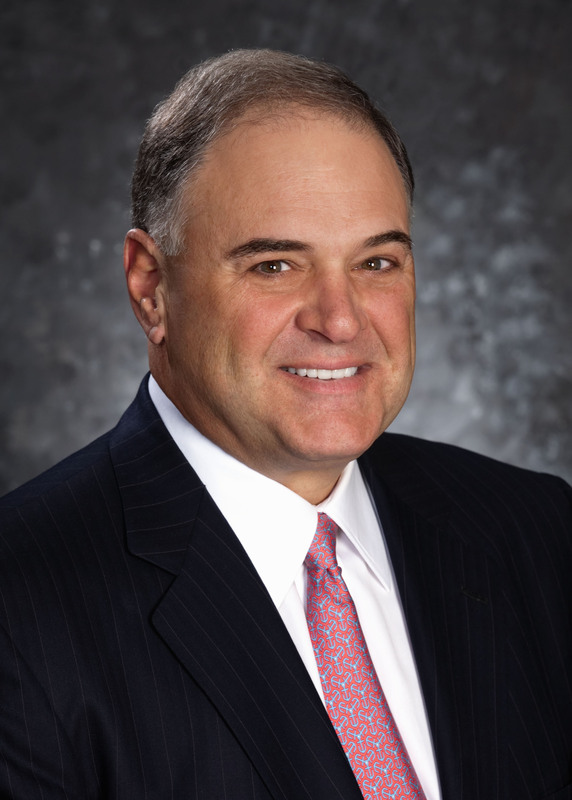 John F. Durante is Chairman of the Jefferson Health - New Jersey Hospital Board of Trustees and is a member of the Jefferson Health in New Jersey Board of Directors. He is also Co-Chair of the Kennedy Health Care Foundation, and Chairman of both the Executive Committee for the Hospital Board and of the Jefferson Health Care Center Board. Mr. Durante additionally serves on several board committees. Mr. Durante served as the past-President of the Ronald McDonald House Charities of the Philadelphia Region and President of JDKD Enterprises LP. He is the owner/operator of seven McDonald’s restaurants in South Jersey and is President of McDonald’s Thil-Ad-Mac Co-op, representing 300 McDonald’s restaurants. Mr. Durante is also a Board Member of the Weinberg Foundation, which supports the bone marrow transplant center at Children’s Hospital of Philadelphia. Mr. Durante is well-known throughout the region for his charitable efforts in raising millions of dollars for children’s charities During his years as a Jefferson Health in New Jersey Board member, Mr. Durante has been instrumental in the establishment of the Ronald McDonald Pediatric Unit at Kennedy’s Washington Township hospital and its two Ronald McDonald Family Rooms, which provide respite for families of patients receiving care at the hospital. Mr. Durante earned a B.S. in management from St. Joseph’s University in 1983. He obtained his Bachelor of Hamburgerology from McDonald's Hamburger University in Oak Brook, IL, in 1978. Mr. Durante and his wife, Kathy, reside in Washington Township, NJ. 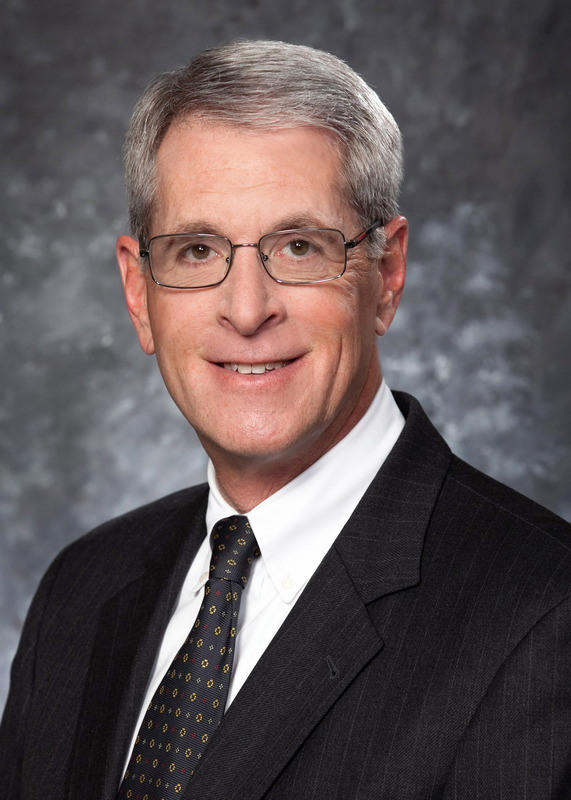 John E. Wallace serves as Secretary of the Jefferson Health - New Jersey Hospital Board of Trustees and is a member of the Jefferson Health in New Jersey Board of Directors. He also serves on several board committees. A retired New Jersey Supreme Court Justice, Justice Wallace joined the South Jersey-headquartered law firm of Brown & Connery LLC, in early 2011, where he practices primarily in mediation and arbitration. Justice Wallace’s career as a jurist spanned more than 25 years. Appointed to the New Jersey Superior Court in 1984, he went on to serve as an appellate judge, beginning in 1992, before being nominated and confirmed to New Jersey’s highest court in 2003. He is a member of the Board of Legal Services of New Jersey and the American, New Jersey, Gloucester County and Camden County Bar Associations. Justice Wallace is also a member of the University of Delaware Hall of Fame. A long-time Little League Baseball and area high school football coach, he is a member of several sports Hall of Fames, including his alma mater, Pitman High School. Justice Wallace received his B.S. from the University of Delaware and his law degree from Harvard Law School. Justice Wallace and his wife, Barbara, reside in Washington Township, NJ. Dr. Angelo Melanie Angelo, D.O., is a member of the Board of Trustees of Jefferson Health - New Jersey. Dr. Angelo is Medical Director of the Emergency Department at Jefferson Cherry Hill Hospital. A 1994 graduate of Rutgers University and a 1998 graduate of the University of Medicine & Dentistry of New Jersey – School of Osteopathic Medicine (now RowanSOM), she is board certified in Emergency Medicine. Dr. Angelo – who completed her Emergency Medicine Internship and Residency at Jefferson Health in New Jersey in 2002 – spent two years working in Jefferson Stratford Hospital's ED, before moving to Jefferson Cherry Hill Hospital, where she was named ED Medical Director in 2004. In this role, Dr. Angelo oversees RowanSOM Interns and Residents during their rotations in Emergency Medicine. A member of the American Osteopathic Association and the American College of Emergency Physicians, Dr. Angelo resides in Avalon, NJ, with her husband, Jim. William R. Barker is a member of the Jefferson Health - New Jersey Hospital Board of Trustees and the Jefferson Health in New Jersey Board of Directors. He also serves on the Board’s Facilities Committee. Mr. Barker is currently a member of the Advisory Board of GroGlass LLC, Riga, Latvia, an international high-tech company specializing in anti-reflective glass manufacturing. He retired in December 2004 as Vice President of Worldwide Sales & Marketing with Denglas Technologies of Moorestown, NJ, a position he held for five years. From 1990 - 1998, Mr. Barker was Owner, Director and Vice President of Tri Star International, a hardware and general merchandise importer, distributor and marketer. A graduate of Washington University in St. Louis, MO, Mr. Barker earned his MBA from the University of California at Los Angeles in 1966. He and his wife, Mary, reside in Moorestown, NJ. Dr. Thomas Cavalieri is Ex-Officio member of the Jefferson Health - New Jersey Hospital Board of Trustees and a member of the Professional Affairs Committee. Dean of the Rowan University School of Osteopathic Medicine (RowanSOM), Dr. Cavalieri is also a Professor of Medicine and the Endowed Chair for Primary Care Research at the university. A longtime member of Jefferson Health in New Jersey’s Medical Staff, and a 2008 Jefferson Health in New Jersey Beacon Award winner, Dr. Cavalieri previously served as the Director of the RowanSOM New Jersey Institute for Successful Aging (formerly the Center for Aging, where he was Founding Director), and Chair of the Department of Medicine. During his illustrious career, Dr. Cavalieri has received many honors and has served in many leadership roles at both the national and state levels. He has been named a “Top Doc” in geriatrics by Philadelphia Magazine, the Consumer Union Checkbook, New Jersey Monthly, South Jersey Magazine, and SJ Magazine. In 2006, he was named “Physician of the Year” by the NJ Association of Osteopathic Physicians and Surgeons, and was inducted into the American Osteopathic Association’s Mentor Hall of Fame. A graduate of the College of Osteopathic Medicine & Surgery of Des Moines University in Iowa, Dr. Cavalieri completed his Internship at Jefferson Stratford Hospital and his Residency at Jefferson Hospital in Philadelphia. He underwent advanced training in the field of geriatrics at the Philadelphia Geriatric Center. Dr. Cavalieri and his wife, Donna, reside in Gloucester Township, NJ. Daniel J. Ragone is a member of the Jefferson Health in New Jersey Board of Directors and the Jefferson Health - New Jersey Hospital Board of Trustees. Additionally, he is a member of the Board of Trustees of the Jefferson Health in New Jersey Management Group and the Jefferson Health in New Jersey Property Corporation. He serves on several other board committees. Mr. Ragone has been a member of the Jefferson Health - New Jersey Hospital Board of Trustees for more than 35 years, and the Jefferson Health in New Jersey Board of Directors since its inception in 1982. From 1995 to 2000, he served as Chairman of the Jefferson Health in New Jersey Board of Directors, offering vision and leadership during a time of intense growth and progress for Jefferson Health in New Jersey. Mr. Ragone played a key role in Jefferson Health in New Jersey’s purchase of the Cherry Hill and Washington Township hospitals in 1980, helping the organization grow into a multi-hospital system. He is the retired Principal of the Collingswood-based Public Accounting firm Daniel J. Ragone & Company, which he founded in 1960. In January 2013, Mr. Ragone was honored as recipient of the New Jersey Hospital Association Leadership Award for his dedication and hard work as a Jefferson Health in New Jersey board member. In 2009, Mr. Ragone was honored with the Jefferson Health in New Jersey Beacon Award for his commitment to the healthcare organization and its mission. Over the years, Mr. Ragone’s expansive community outreach has included serving the board of the William G. Rohrer Charitable Foundation, where he was responsible for obtaining more than $700,000 in grant money to assist Jefferson Health in New Jersey's programs and continued growth. He is a graduate of Philadelphia’s LaSalle University. Mr. Ragone and his wife, Lillian, reside in Haddonfield, NJ. Albert E. Smith is Chairman of the Jefferson Health in New Jersey Board of Directors, a member of the Jefferson Health - New Jersey Hospital Board of Trustees, and serves as Chairman of the Professional Medical Management Board, and the Jefferson Health Primary & Specialty Care Advisory Committee. He had also served as Chairman of the Hospital Board of Trustees from 2007 to 2012. Mr. Smith is the retired President of Canon Financial Services (CFS) Inc., a wholly-owned subsidiary of Canon. He served in that position from 1986 to 2007, directing all activities of the organization. Prior to that, he served as Executive Vice President with Fidelity Bank & Trust Company of New Jersey (now Bank of America) from 1971 to 1986. Mr. Smith has been a Jefferson Health in New Jersey Board member since 1986, and has served for more than 20 years on the Executive Advisory Board for Rutgers University School of Business and its School of Nursing Executive Advisory Board for the last two. A Certified Public Accountant since 1979, he holds Fellowship in both the American Society of CPAs and the New Jersey Society of CPAs. In 2003, Mr. Smith was honored for his philanthropic work with the Goodwill Industries of Southern New Jersey Helms Award. He served as Vice Chairman of the South Jersey March of Dimes from 1986 to 1991, and was the organization’s WalkAmerica Chairman in 1986. Mr. Smith is a graduate of Rutgers University. He and his wife, Meral, reside in Haddonfield, NJ. 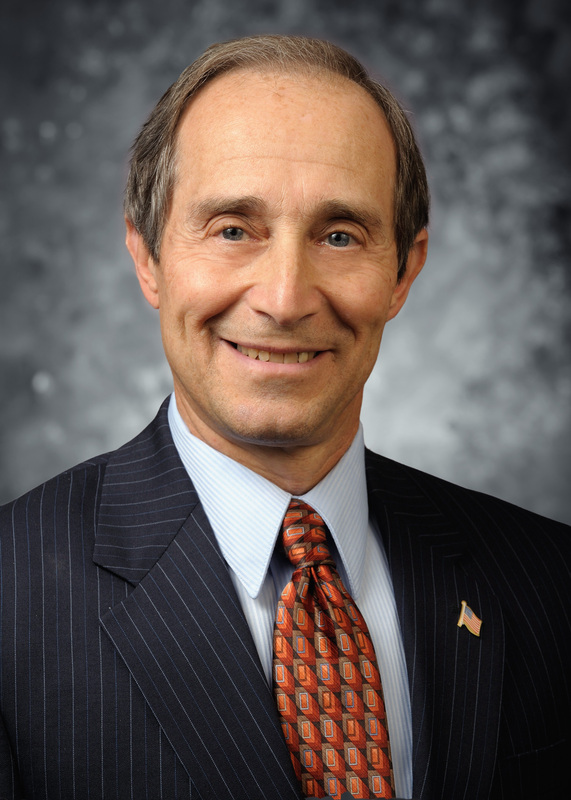 Henry Schuitema is a member of the Jefferson Health - New Jersey Hospital Board of Trustees. Dr. Mark Schuster, Chief of Staff, is board certified in Nephrology and Internal Medicine. A graduate of Rowan University School of Osteopathic Medicine (RowanSOM), he is also fellowship-trained in Nephrology. Dr. Schuster has been named a “Top Doc” by South JerseyMagazine and “Teacher of the Year” by Rowan-SOM. A Clinical Nephrologist with Nephrology & Hypertension Associates of New Jersey, Dr. Schuster lives in Cherry Hill, NJ. Dr. Daniel Tarditi, Vice Chief of Staff, is board certified in Internal Medicine and Cardiology. A graduate of RowanSOM, he is also fellowship-trained in Cardiology. Dr. Tarditi is a member of the American Medical Association, the American Osteopathic Association and several other professional organizations. A cardiologist with Cardiovascular Associates of the Delaware Valley, Dr. Tarditi resides in Haddonfield, NJ. Dr. Alan Lucerna, Medical Staff Treasurer, is an attending physician at the Jefferson Stratford Hospital Emergency Department. Board certified in Emergency Medicine and Internal Medicine, Dr. Lucerna is a 2005 graduate of RowanSOM; he completed both his Internship and Residency through the medical school. A resident of Westampton, NJ, he is a member of the several professional organizations, including the American Osteopathic Association, and the American College of Osteopathic Emergency Physicians.